You don't want to deal with backed up pipes or leaky fixtures any more. Your home should have plumbing that you can rely on. Kwiatkowski Plumbing Company's certified master Pittsburgh plumber is available to you around the clock to ensure that you always can get repairs when you need them. Whenever you call us, we'll always pick up the phone. $50.00 off​​​ any plumbing service just mention you found us on the internet when you call today! You don't want to work with a business that isn't reliable and trustworthy. You'll always get an upfront price quote from us that won't change. Kwiatkowski Plumbing is a proud accredited member of the Better Business Bureau with a A+ rating please feel free to click the link above to check out our company. Kwiatkowski Plumbing offer 24 hour around the clock plumber services. Customer service comes first and we value all our customers. Need new faucets, toilets, bathtub we come to you for all your bathroom needs. Have our experts come out and give your bathroom a makeover. We are looking forward to rebuilding your new kitchen. Let our professional kitchen remodeling team come out and give you the kitchen of your dreams. We offer home remodeling you name it we can remodel it. Our team is fast and we are the best home improvement company in Pittsburgh. Is your drain all clogged up! We will be there in a jiffy. Our team will have those drains cleaning and flowing in no time at all. Give us a call! When I called, the owner fielded the request. He was friendly and professional and put me at ease immediately. I told him the problem, and he told me a plumber would be out in 90 minutes. When the plumber, Bob, arrived, he went right to work fixing the drain. Because he was so prompt and professional, I also asked him about fixing a leaking valve under the sink in our 1/2 bath. He did so. Within two hours he was completely done. When I had another plumber to our home doing other work. I called that company for an emergency call my sewer was backing up. They told me they could not come for a week they were on vacation. I called Kwiatkowski Plumbing and they came right out. My sewer was a mess. They worked for hours on my sewer. Finally opening it. Kwiatkowski Plumbing came to my house for a remodeling job for my master bathroom and kitchen. The work was superb and they cleaned up without an issue. No matter how difficult the job they were willing to work with me on it. They offered up-front estimate of the work and the staff was clean and professional. If you live in the Pittsburgh region and are looking for the best plumbing service available, look no further than Kwiatkowski Plumbing. We can handle any significant or small plumbing problems you might have. Providing excellent customer service, and exceptional plumbing services are our top priorities. As a full-service plumbing company, we offer a wide variety of services from backhoe excavation to fixing leaky faucets. You deserve to have plumbing that doesn't leak and works as it should. Anytime you need your plumbing serviced, give us a call, and we'll be glad to help. We also offer a reliable 24-hour emergency plumbing service to get your plumbing back up and working. Many plumbing issues can arise in the kitchen. Experiencing plumbing problems in the kitchen can make this room seem like a nightmare rather than a beautiful place to hang out and prepare meals. A leaky faucet might not be the worst thing in the world, but the annoying sound of dripping water can be quite bothersome. Leaking faucets can also cause your water bill to rise because water will always be flowing. There are four distinct types of faucets ball, compression, cartridge, and disc. Depending on the type of faucet you have there will be various reasons it could leak. Leaky O-rings or cartridge failure all can attribute to a constant drip. To stop a leaking faucet, Kwiatkowski Plumbing can repair or replace it. Replacing a faucet can enhance the appearance of your kitchen too. There is a massive selection of faucets available to suit anyone's desired tastes. Whether we repair or replace your faucet, we guarantee a leak-free functionality you will enjoy. Are you having trouble with your garbage disposal? Garbage disposals can leak, become clogged or stop working altogether. The most common reason a garbage disposal doesn't work correctly is from misuse. Leaks can happen in some areas on the garbage disposal, but the usually the top seal is the culprit. Kwiatkowski Plumbing can fix any number of problems associated with a garbage disposal including repair work, replacement, or even installation. No matter what challenges you are encountering in the kitchen plumbing, from leaks to a burst pipe, to clogs and more, we understand the importance of having a fully functional kitchen and will work diligently to correct any problems. Did we notice we also can assist with any remodel project in the kitchen? A kitchen can do wonders for the appearance of your home, and add equity to your home too. 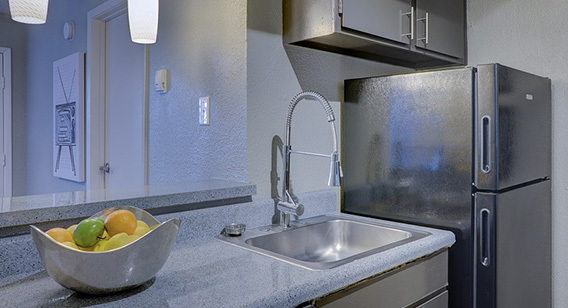 We can install sinks, faucets, dishwashers and more. Breathe new life into your kitchen by using Kwiatkowski Plumbing for your next remodel job. The bathroom is one of the essential places in the home, and it's critical that each fixture work properly. There is nothing worse than a nonfunctioning toilet, or a clogged sink and tub. Clogged fixtures can happen at any time, and when they do occur are very inconvenient. Clogged drains can cause sinks and tubs not to drain and overflow. The clear solution to this problem is to unclog the drain. Kwiatkowski Plumbing will use a variety of tools and techniques to unclog a drain including an in-line video camera to detect where and what is causing the issue. We also repair any problems you might have with your toilet. Some issues can arise with a toilet including clogged pipes, phantom flushes, and slow drains. Homeowners can fix some clogs with a little elbow grease, but there are times when this just isn't enough. Our trained technicians can quickly identify many of these common toilet problems. Whether you are unsure of how to handle a situation or home remedies haven't worked, we can help. We also offer a 24-hour plumbing Pittsburgh emergency assistance to get your toilet working again any time of day, weekends, and holidays. Going without a working toilet is something no one should have to go through, and we understand, that is why in most cases we offer same day service as well. 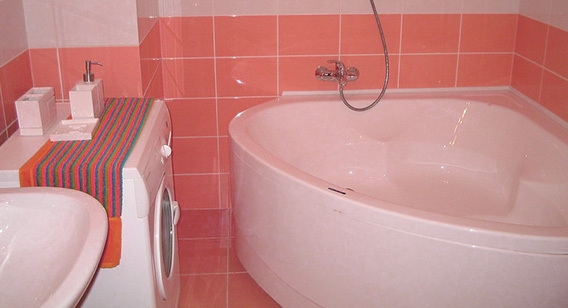 As we do with kitchens, we also offer bathroom remodel services. Upgrading your bathroom with new fixtures can make the room stand out, and give it a more modern feel. Who doesn't love a nice looking bathroom that is brand new? We can tackle any remodel project for your bathroom from upgrading the sink and faucet to installing an entirely new shower. We will give your bathroom full attention to detail as work and make sure every install is perfect. Kwiatkowski Plumbing also can install walk-in tubs that are perfect for seniors, handicap, or physically challenged adults. These tubs make bathing much more straightforward and quicker thanks to their fast 4 ½ minutes fill time. There are two various kinds of water heaters, electric water heaters, and gas water heaters. The water heater is responsible for providing the home with hot water. When it isn't working signs properly could often be losing hot water quickly, no hot water at all, or even a possible leak from the temperature and pressure release value. Not having hot water can make showers miserable, washing machines have no warm water and washing your hands not feel as clean. There are many reasons why a water heater could stop working, and they are similar in both the gas and electric models. In an electric water heater, there can be a buildup in the tank that causes the bottom heating element to go out or the anode to dissolve. The thermostat can go out, causing a delay in how and when the heater kicks on and off. The result of a thermostat not working could be too hot of water, too cold, or not enough of either. On significant difference is a gas water heater could be experiencing a leak in the gas line. For any of the problems associated with your water heater, Kwiatkowski Plumbing will expertly diagnose the problem and get it working quickly. 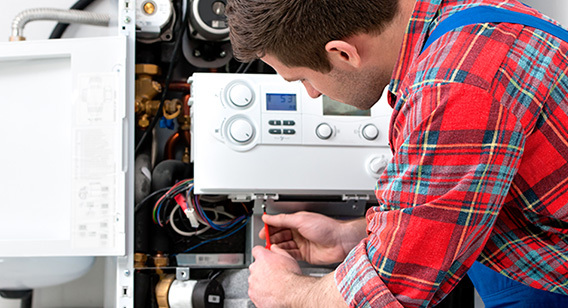 We understand that replacing a water heater can be an expensive task, but often repairs can be made that are significantly less expensive and will fix the problem. However, if your water heater is getting up there in age, we recommend replacing it with a new unit. There are many in the shop today that are energy efficient and can even help to reduce your energy bills. It is crucial that gas and water lines are in good working order and free of leaks. 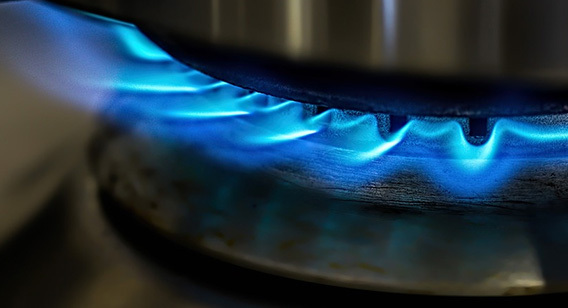 Gas lines provide the gas to make water heaters, dryers, and stoves work. If your home is equipped with these gas-powered appliances, then having a leak-free gas line is vital for their operation. Over time gas lines can develop leaks due to corrosion. Detecting a gas leak isn't simple, but there are a few symptoms to look out for. If there is a mainline gas leak in the home, none of the appliances will function correctly or at all. Signs of a gas leak will significantly depend on where the leak is located. A professional plumber, such as Kwiatkowski Plumbing is equipped to handle any gas leak your home might be experiencing. Water line plumbing services Pittsburgh PA can also be done by Plumbing Services. When you go to turn on your water, there are certain expectations mainly that water should flow freely from the faucet. A water line leak can create a world of problems, including muddy looking water and strong unpleasant odors. Your home's water should look clean and be free from odor as well. If you are experiencing dirty looking water or strong odors coming from the faucet, this could be a sign of a water line leak or a burst pipe, and it needs to be repaired. A constant wet spot in your yard is another example of a leaking water line. As overwhelming as these signs of a water line leak or break can be, don't panic, we can help. For new developments new sewer and water lines is a must. Kwiatkowski Plumbing offers a backhoe service to get the job done right the first time and quickly. Many plumbers in Pittsburgh, PA don't provide backhoe services, but we do. Our technicians can excavate, install new lines, repair broken lines, and lay the groundwork for establishing underground lines. Kwiatkowski Plumbing understands the importance of getting new lines to a home after all this is where the magic of indoor plumbing begins. If you are creating a new home and need new lines installed to get water and sewer to the property, give us a call, and we can help with our backhoe service and line installation. 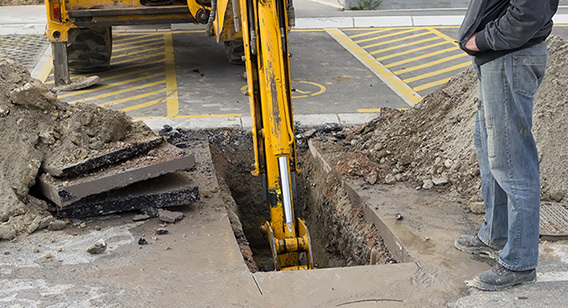 Our backhoe service is also useful for replacing old water and sewer lines. We are a full-service plumbing company that offers both exterior and interior plumbing assistance. Kwiatkowski Plumbing is the Pittsburgh plumber you can depend on to get any plumbing task accomplished. Give us a call today at (412) 221-5404 or email info@pittsburghplumbingservices.com.